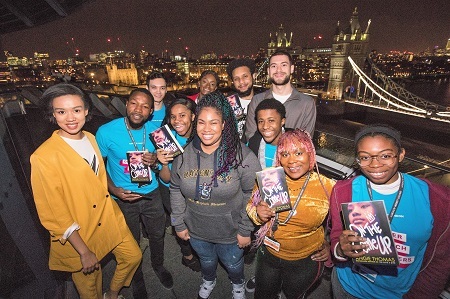 Angie Thomas, bestselling author of The Hate U Give and now of The Come Up (Walker), spoke to more than 3,000 fans during her UK tour last week. The tour took her to London, Birmingham, Bradford, Manchester, Newcastle and Edinburgh. 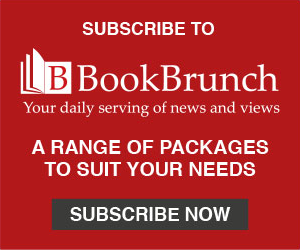 She gave interviews to the Times, Black Ballad, BBC Radio 5 Live, BBC World Service, and BBC's HardTalk, as well as to podcasts including Standard Issue, BBC Radio 1's Life Hacks, and comedian Romesh Ranganathan's Hip Hop Saved My Life. Thomas is pictured (front centre) at City Hall in London with members of the peer outreach team who helped organise her Mayor's Office event.